Needing a super fast easy treat to appease the kids? 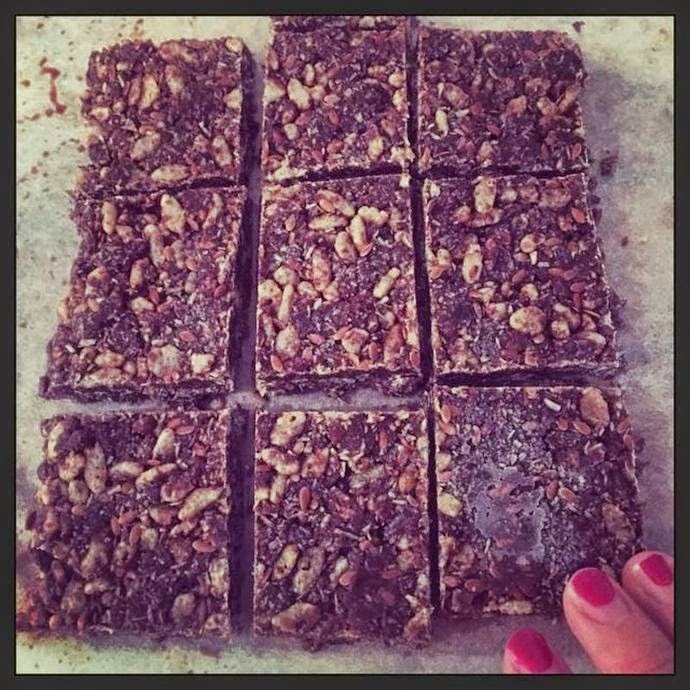 A treat that's sugar, gluten and diary free, nutritious and satisfies a sweet tooth craving. These Cacao Coconut Roughies are so good, you'll need to make double quantities to keep up with the demand as the kids will love them. 1. Combine the almond meal, rice malt syrup, coconut, coconut oil, linseed, and rice bubbles if you are using these. 2. Press mixture into a small lined tray and press into the mix with your hands and place in the fridge or freezer to set for 5-10 minutes. 3. Once this mix has set, remove from the tray and cut into little rectangles. It is best served chilled or else they will melt on a warm day.To store keep these in a container in the fridge or freezer for a longer shelf life. But I doubt that they're last that long. If you need it to be sweeter, throw in a few chocolate drops and that will hit the spot.